Does a regular vacation seem impossible right now due to your finances? 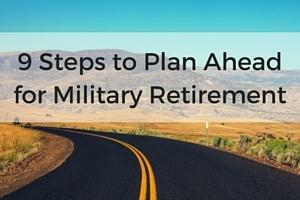 Do thoughts of military retirement frighten you, rather than inspire daydreams of your forever home? Are you living paycheck to paycheck? Then it may be time for you take charge of your finances by "taking the pledge" from Military Saves! USAA and Military Saves are working together to help military members and their families start saving. Military Saves will keep you motivated with information, advice, tips, and reminders sent via email or text. They also offer further financial planning resources should you need them! They want you to think of them as your "own personal support system." 1) You've got no cushion. 2) There's more month than money. 3) You're living too much in the moment. What benefit is there to signing up for Military Saves? In a nutshell, it could be just what someone needs to spark success. Those that write down and commit to achieving goals are typically much more likely to succeed, and this is an opportunity to do that. Who is eligible to sign up? Is there any cost? There’s no cost, and when you sign up you have the opportunity to opt-in to receive information and encouragement throughout the year. What other financial planning resources are available through this program? Visit MilitarySaves to check out a wealth of information on building wealth, not debt and be sure to follow them on Twitter @MilitarySaves. What savings advice do you have for younger servicemembers who feel they can put this off until they are making more money or later in life? That’s exactly it--don’t put it off! While we can always find an excuse for not getting started, this year figure out how you can. The biggest ally young service members have is time, so take advantage. A little bit of effort can pay big dividends down the road. Intrigued? Take the "Military Saves Pledge" and find out more today! Follow along with the hashtag #MSW2017 on social media.